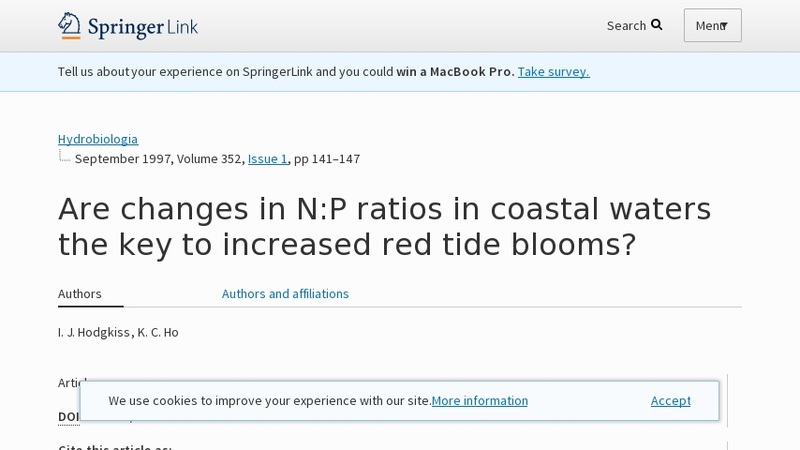 This scholarly paper from Hydrobiologica discusses the possibility that red tide blooms increase as increased nutrients are flushed into coastal waters. The paper reviews evidence collected by the authors from Tolo Harbour, Hong Kong together with data collected in Japanese and North European coastal waters by various authors. The paper features charts, tables, and graphs depicting the authors' results.